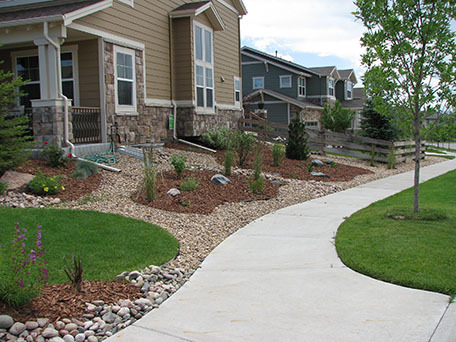 Tenants are usually responsible for basic landscaping and yard care, so why should a property investor care about low maintenance landscaping and water conservation? The answer is simple – money. 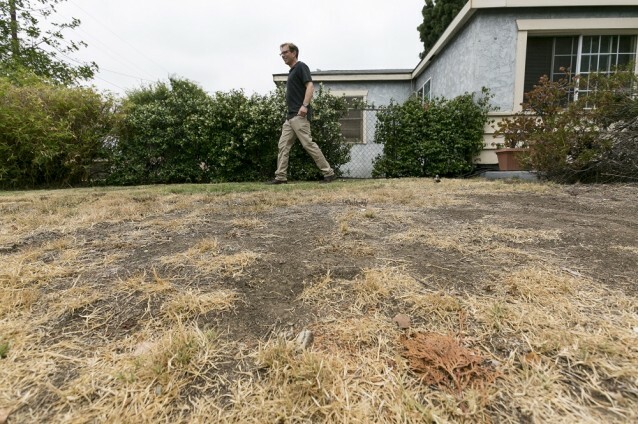 With drought conditions and water rationing more prevalent, tenants may not have the option of maintaining green lawns, shrubbery, trees and gardens. If your rental property is in an area subject to water restrictions, your landscape might begin to look like a wasteland and you will not be able to hold the tenant responsible. When it comes time to fill a vacancy, your property will not fare well. The time to fill the vacancy will be longer, and the tenants you will be able to attract as renters will be less desirable. Plus, a house with a great planned landscape scheme that requires less maintenance could command a higher monthly rent. That’s why it might be in your best interest to consider xeriscaping. 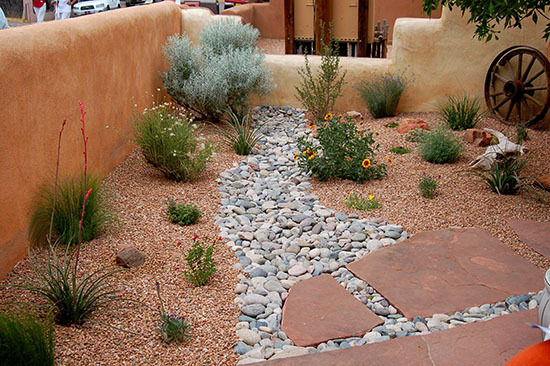 Xeriscaping (often incorrectly spelled zero-scaping or xeroscaping) is environmentally-friendly landscaping that cuts the need for supplemental water. Plants appropriate to the local climate are emphasized, and care is taken to avoid losing water to evaporation and run-off. The specific plants used in xeriscaping depend upon the climate. Xeriscaping is different from natural landscaping because the emphasis is on selection of plants for water conservation and their beauty within the overall plan, not necessarily selecting native plants. Many do not implement a xeriscape plan as this type of landscape has been viewed as ‘desert scape’ with sand and rocks with little style. The truth however, is far from this old ideal and homes with a professional xeriscape plan are becoming more and more desirable for the ease of maintenance and lower cost to maintain a beautiful manicured outdoor feature. Also, new legislation is more accepting of xeriscaping and many local municipalities and utility companies now offer incentives for xeriscaping. Xeriscaping requires a plan and design, soil improvement, efficient irrigation, appropriate plant and zone selection, mulch, and limited lawn areas. A local landscape architect would be the best source for developing a xeriscape plan for your property. Your Real Property Management office can provide recommendations about who to consider. An investment in xeriscaping could prove to be financially rewarding and will help preserve your asset with both current and future tenants. Plus, you will feel great about being environmentally conscious and doing your part to help solve water shortages in your property’s community. 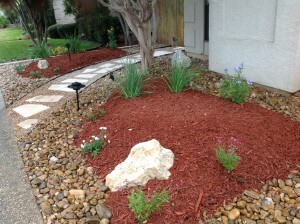 Do you have experience with xeriscaping? We would love to see pictures…Post them in the comment section!